Hockey, the ultimate blue collar sport with a fast paced environment and highlight worth plays happening every few minutes. Fans of the game know that this is truly one of the best sports in the world. What better what to celebrate this amazing sport than to decorate your man cave or man shed with some awesome hockey man cave ideas? Whether you are a fan of a team or a fan of the game in general, hockey related memorabilia allows you to decorate your man cave in ways that other sports cannot. Let us take a look at different hockey related ideas to up your boy cave into a man cave! Some of the best memorabilia out there for sports fans relate to the hockey genre, as there are a ridiculous amounts of unique items you can purchase to furnish your man cave. With so many forms of wall decoration options out there, the question isn’t what can you put on your wall, but what will you put on your wall! Imagine walking into your man cave and seeing a signed hockey mask over two hockey sticks. The grit and finesse of the game all in one, staged on the wall for you and your guests to see. 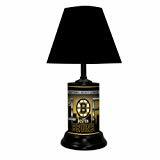 Combine this with various memorable photos and you have a man cave that screams hockey! The Stanley Cup is the most iconic item in the hockey world, but they various hockey items are what makes the game so unique. I have a signed mask from Gerry Cheevers, the iconic one in which it not only embodies goalkeeping, but the idea of instilling fear into the shooters as well! Adding a combination of a few of these items to your wall will simply make your man cave the stuff of legends – a wall of honor for all those who put there skills and grit on the line to better there teams and the game as a whole. If you already have you wall decor covered, let us take a look at the entertainment center options and what can be done to spruce that up a bit. Hockey goal or netting as background, replica hockey sticks as shelving, or simply hockey pucks as bases for your entertainment stand. These options are easy to think of, yet no one knows where to start! We have all seen dozens upon dozens of different entertainment centers – whether in our house or apartment, or in a relative or friend’s place. Using what we have observed through the years, we can articulate what ideas and concepts stood out to us and convert those into the creation of our entertainment center! Rather than having a basic wood or metal entertainment center, add a little uniqueness that fits your overall theme – hockey! I have seen a few hockey related entertainment centers over the years, and some of them use some basic ideas to turn a 4 out of 10 entertainment center into 9 out of 10 or above! There are so many pieces of equipment for hockey players – incorporate these into the section of your man cave that attracts the most views (near your television). I have a basic circular clock on the wall. After spending $20, I was able to surround it my hockey pucks from the original six hockey teams and now it looks far more appealing than its original generic self. Whatever route you take, incorporate a little you and a little hockey and you can elevate the status of anything you are trying to display. Let us raise the bar a bit more….with your actual bar! Bars are one of the focal points for any man cave, as this is the hangout area where people get the liquid energy to start off there night. Whether you are looking to stack your bar with LED lighting or a wide array of liquor and beer, you need to add that little something extra to make it fit your overall theme. There are thousands of different options out there to fit your hockey team. Mugs, glasses, steins, and more – all available for you at little to no cost. I have a variety of Boston Bruins mugs in my man cave, combined with a few Colorado Avalanche glasses. I am from Boston, yet Colorado is my home now – this was my way of letting my guests know that I am a fan of the game, yet also a fan of where I am and where I am from. Depending on your bar size and layout, you will be able to get custom siding and a front face plate that can have your team’s logo. 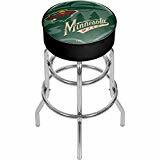 There are a variety of bar stool options out there as well for you to choose from, depending on the style of bar stool you want and whether you want your team’s logo on the cushion. Hell, you could even may your bar look like a Penalty Box! If you are looking to have a little custom feel to your bar, you could incorporate hockey sticks as bases to your bar stools, pucks as coasters, or cut hockey masks (insulated with cushion) as bar stool seating. Having a glass face on your bar would enable you to have an even larger touch in terms of being able to put various memorabilia in your bar for you and your guests to see while having a drink or eating a snack. With the bar stocked and ideas stirring, let’s take a look at other furniture options. Once you have your theme, bar, and entertainment center set in place, furniture options become a bit easier. Your furniture options should match these aspects of your man cave, as well as the wall decor or memorabilia you have set up throughout the man cave. If you are going for a custom feel, you could incorporate seating that matches hockey arena seats to give it an at home feel. With a bar or entertainment center in the look of a penalty box, this would bring the whole man cave together. You could also incorporate a luxury suite aspect of a hockey arena and give your furniture the overall feel of that as well. Custom options are available as well, with ice skates or a stack of pucks being able to be used as lamp bases or the legs of a coffee table. If you want added flair, you could incorporate other apparel into whatever you need to make your furniture scream hockey. With so many ideas present, it is up to you in terms of being able to choose the memorabilia you want and the style of furniture you want to match with it! 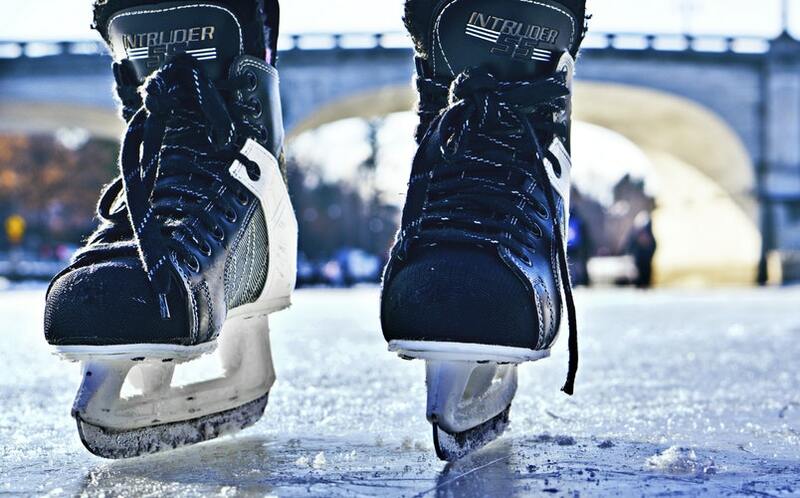 The crows has spoken, the puck has been dropped, now where does your man cave stand? With your wall decorations, furniture, entertainment center, and bar set up (or the layout in place), you can now take the correct steps to get the items you need for your hockey themed man cave. Whether you are focusing on the wall art first, or all areas at once, get the best options available so you can have the man cave above all other man caves! If you have any comments on what options are best, or particular pieces you have and love, feel free to leave them in the comments section below!